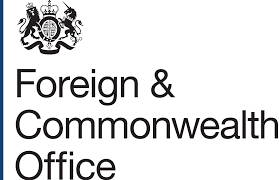 The Foreign and Commonwealth Office (FCO) is the UK government department responsible for protecting and promoting British interests around the world, through the FCO in London and our network of over 270 diplomatic posts in 168 countries and territories. The FCO’s purpose is to protect our country, our people and our interests; to project our influence and values; and to promote our prosperity. The FCO employs approximately 14,000 staff around the world. We employ a diverse range of talented people capable of delivering to a high standard. We want the modern FCO to reflect the very best of 21st century Britain and we’re looking for Business Administration Apprentices to work across a wide range of directorates to help us to make that happen. From HR to Communications, from the Parliamentary Directorate to the Africa Directorate, our Business Administration Scheme offers you a structured learning journey and is ideal for those who wish to gain skills and experience or for those looking to develop existing skills within the business and administration sector. Based in the heart of Westminster, and with a total package of over £24,000 per annum our apprenticeship scheme is a great place to start, restart or change the course of your career journey. Do you want to help protect assets, information and people all around the world? A FCO Apprenticeship could be perfect for you. You'll be committed to a real job, with real responsibilities and challenges so if you're looking to kick-start your career and start earning and learning then apply for an FCO Apprenticeship today, About the Foreign and Commonwealth Office The Foreign and Commonwealth Office (FCO), commonly called the Foreign Office, is a department of the Government of the United Kingdom. It is responsible for protecting and promoting British interests worldwide. They also work towards safeguarding the UK’s national security by countering terrorism and weapons proliferation, and working to reduce conflict, increasing exports and investment, opening markets, ensuring access to resources, and promoting sustainable global growth and supporting British nationals around the world through modern and efficient services. What do the Foreign and Commonwealth Office Apprenticeships involve? Foreign and Commonwealth Office Apprenticeships involve a mixture of on the job training and academic study which enables you to gain valuable experience, in demand skills and a nationally recognised qualification relevant to your career aspirations. 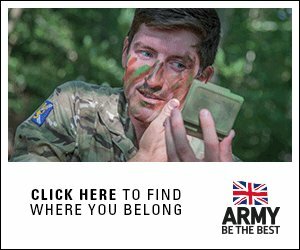 The FCO offer a wide range of Apprenticeship opportunities which include the following: IT Apprenticeships – During this 18 month Apprenticeship, you’ll receive training to combat threats that governments are facing and protect the nation. You’ll need to have at least 5 GCSEs at C or above and a Level 3 qualification in a STEM related subject. Technical Engineering Apprenticeships – You could be working on a variety of systems from CCTV and secure communications to intruder detection systems and counter-eavesdropping measures. You’ll need at least 5 GCSEs (C or above). CAD Technician Apprenticeships – You’ll use your talent to protect buildings and people by creating technical designs. Have at least 5 GCSEs at C or above; why not join FCO Services for a rewarding career? Construction Higher Apprenticeships – If you’ve got A Levels or equivalent why not work towards any of the following job roles at FCO Services – Building Services Engineering, Quantity Surveying, Building Surveying Structural & Civil Engineering. Project Management Apprenticeships – Do you want to build an excellent career in project management? 3 years of dedication, training on the job and classroom-based learning is all that separates you from fulfilling your career ambitions then you’ll be a fully fledged project manager. All you need is A Levels or equivalent to pursue the opportunity of a lifetime. Warehouse Apprenticeships – You’ll learn skills needed to deliver mail, goods and services securely. If you think you’re up to the challenge of responding to critical global and logistic issues, then this Apprenticeship could be just what you’re looking for. What are you waiting for? Scroll down to apply!